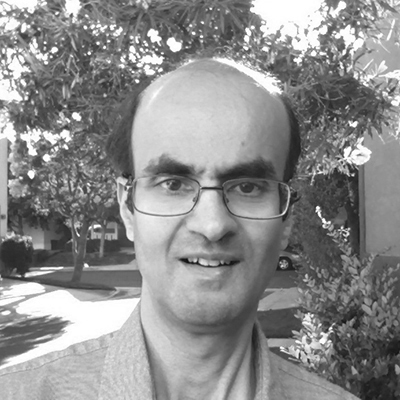 Mihir Bellare is a Professor in the Department of Computer Science and Engineering at the University of California, San Diego, focusing on Cryptography, computer and network security, and computational complexity theory. Mihir has been a Faculty member in Department of Computer Science and Engineering, University of California at San Diego from 1995—present. Before that he was a research staff memberat the IBM T.J. Watson Research Center from 1991—1995. Mihir holds a Ph.D. in Computer Science from Massachusetts Institute of Technlogy and a B.S. with honors in Mathematics from California Institute of Technology (Caltech). With over 130 publications in journals and refereed conferences, including 55 in the top ranking cryptography conferences (Crypto and Eurocrypt) and 19 in the top ranking theory conferences (FOCS and STOC) and over 33,000 citations overall Mihir is a top-ranked researcher in security and privacy according to Microsoft Academic Search and isranked 2nd in world in terms of number of publications in the Crypto and Eurocrypt conferences. In addition to dozens of security and cryptography awards, Mihir is also the co-developer of HMAC authentication algorithm which is an IETF IPSEC Internet Standard and ANSI X.9 keyed hash standard, currently used in numerous products including BSAFE (RSA Data Security Corp.), SSL/TLS (3.0 and 3.1), S-HTTP, NetBSD, CDSA and co-developer of OAEP encryption algorithm which is included in the IEEE P1363 draft standard and the RSA PKCS #1 v2.0 standard. Mihir is also the co-developer of iKP, a family of electronic payment protocols that lead to MasterCard and Visa’s SET.